Enlisting the services of a professional Buyer’s Agent is similar to using an accountant to help you with your taxes, a doctor to help you with your health care, or a mechanic to help you with your car. So the first advantage is pretty obvious. If you had she time to devote to learning all you need to know about accounting, medicine, and automotive mechanics, you could do these services yourself. But who has the time? You probably already have a full-time career to which you are committed. This is why you allow other professionals to help you in specific areas of expertise. Community Group has devoted our time to perfecting a career in real estate service. Continuous education, market research, and vast experience are combined with an excellent team of real estate professionals to find you the perfect home quickly. Community Group will take care of all the hassles of every day real estate transactions for you. We let you concentrate on your full-time job, while we ours. We will guide you through the home buying process and exclusively represent your interests as we help you find a home, present your contract offer, negotiate, and close! The advantage to signing a Buyer’s Agency Agreement with an agent at Community Group is that you will have a professional working to find and secure the perfect home for you exactly when you need it. It is nearly impossible to find a home that meets your needs, get a contract negotiated, and close the transaction without an experienced consultant. Community Group has vast computer networks to make sure you only tour homes that meet your specific needs. You won’t need to spend endless evenings and weekends driving around looking for homes for sale or trying to search computer networks yourself. When you tour homes with us, you will already know that the homes meet your criteria for bedrooms, bathrooms, garage space, square footage, neighborhood, etc. Also, Community Group will ensure you are looking at homes that are in the price range YOU desire. Just as your accountant, doctor, and mechanic get to know your needs through a steady relationship, Community Group gets to know your real estate needs and concerns. The type of relationship is built by open communication at all times and by touring homes with us so we get a good idea of your feedback and concerns about each home. If you try to jump from agent to agent, you will not receive the best real estate services possible, and you will be violating your agreement to Community Group. There is nothing to gain from trying to find and tour homes on your own, and you will save a lot of time when we can tell you everything about any home before you see it. Entering into a Buyer’s Agency Agreement has countless advantages and no disadvantages. When you sign the agreement, you are simply agreeing to “hire” a personal representative who, by law, must represent your best interests to the best of their ability. All of our personal service is available at absolutely NO COST TO YOU! The Seller’s Agent is responsible for paying your Buyer’s Agent fee. With Community Group, you get a professional devoted to protecting your needs to help you make one of the most important investment decisions of your life –- and you don’t even have to pay the fee! When you are ready to begin looking at various houses to find your dream home, you need to prepare all of the necessary materials to present to the lender. Your lender will tell you exactly what you can afford so that you do not spend time looking at “too much” home. There are three key factors that you will need to consider when determining how much home you can afford. These are 1.) the down payment, 2.) your ability to qualify for a mortgage, and 3.) the closing costs associated with your transaction. Most loans today require a down payment of between 3.5% and 5.0% depending on the type and terms of the loan. If you are able to come up with 20-25% down payment, you may be eligible to take advantage of special fast-track programs and possibly eliminate mortgage insurance. It is often thought that bigger is better when it comes to down payments. In many cases, there may be true. However, the arithmetic will differ from case to case. A bigger down payment means smaller monthly payments and lower interest expense for as long as you remain with a mortgage. There can be an important factor for many people. But if you can put your available funds to work for you so that they can earn more than the interest rate on your loan, you could be dollars ahead with a smaller down payment. Also, a smaller down payment may allow you to keep extra cash liquid and available for an emergency. Don’t forget to think ahead carefully. In addition to the down payment on your dream home, you will be required to pay fees for loan processing and other closing costs. These fees must be paid in full in cash at the time of the final settlement, unless you are able to include these in your financing. Typically, total closing costs will range between 2-5% of your mortgage loan. 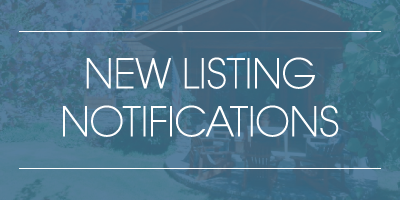 A more detailed schedule is included herein in the section detailing your closing. CREDIT REPORT: History of debt repayment, total outstanding debt and total available credit. If you have concerns about your credit report, consider contacting one of the major credit bureaus for a copy of your file: TRW (1-800-422-4879), Trans Union (1-602-933-1200), and CSC Credit (1-800-759-5979). Your monthly payment (PITI) is the sum of four items – the principle on the loan (P), the interest on the loan (I), property taxes (T), and homeowner’s insurance (I). To predict your monthly payment for a 30-year fixed rate loan, use the following table to determine the principal and interest part of the payment. Simply divide the loan amount by 1,000 and then multiply that figure by the appropriate interest rate factor from the table below. To that sum add 1/12th of the amount of your yearly taxes and 1/12th the amount of your yearly insurance. Hazard Insurance covering your home for its contract value is required by your mortgage lender. You are at liberty to choose any insurance company and agent you wish. Ask your agent to quote you a policy for insurance coverage. All property owners must pay general real estate taxes. These taxes are also called “ad value” taxes because the amount of the taxes varies, according to the value of your property. General real estate is levied for the operations of various governmental agencies and municipalities. Other taxing bodies may include school districts, drainage, water, sanitary, and recreation districts. Each agency or municipality determines how much money is needed for the budget. They receive these funds through mills levied against properties in their counties. The state limits how much the mill levy can increase each year without voter approval. Each mill is equal to one-thousandth of one dollar ($.001) of assessed value or $1 for every $1,000 of assessed value. The actual tax is calculated by multiplying the assessed value by the current mill levy. General taxes are a lien against your home as of January 1st, the year of the tax, even though they are not due until the following year. Properties are valued or assessed by the county assessor. The land and buildings are usually assessed separately. The assessed value is approximately 12-15% of the true value (percentage value is determined by state law). If an owner feels the assessed value of their property is incorrect, they can present their objection through the local taxing authority on an annual basis. Find out from your lender how much you qualify to spend on the home. It is very easy to become excited about features found in homes out of your price range. Before you get your heart set on that big, tree-shaded colonial on the hill, you need to pin down your financial details. Only then will you know if you can afford Willow Crest, or if it makes more sense to aim for Shady Hollow. Complete there list below. 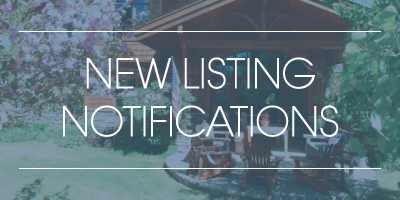 Please take a moment to decide what features are “Requirements” (location, basement, number of bedrooms, eating space, architectural style, garage, etc…) and which features are “Extras” (fireplace, walk-in closets, wet bar, pool, siding, vaulted ceilings, deck, landscaping, etc…) . There are many different features in homes that range from necessary to luxury. It is easy to get caught up in the excitement of a beautiful home loaded with amenities. It is important that you select a home that truly meets all or most of your requirements first and foremost! As you tour homes, check back to there list to make sure the home meets your requirements. The extras should only come into play when you make your final decision between homes that meet all or most of your requirements.